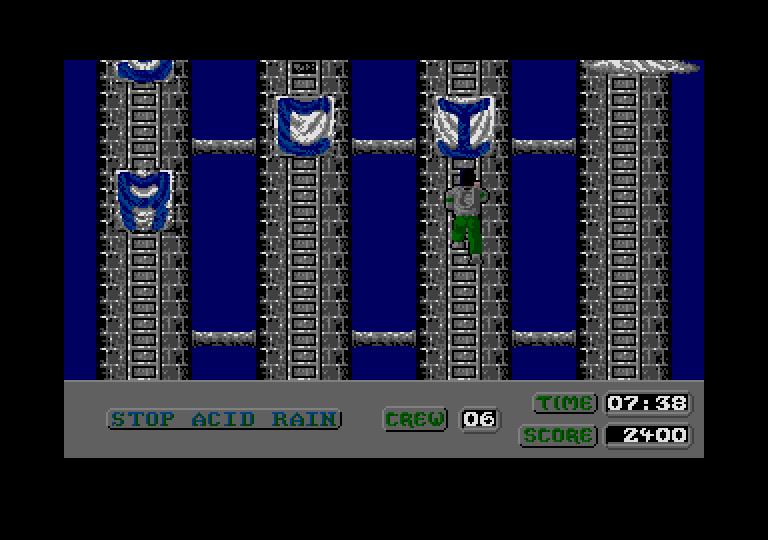 Another way is a Steem patch. 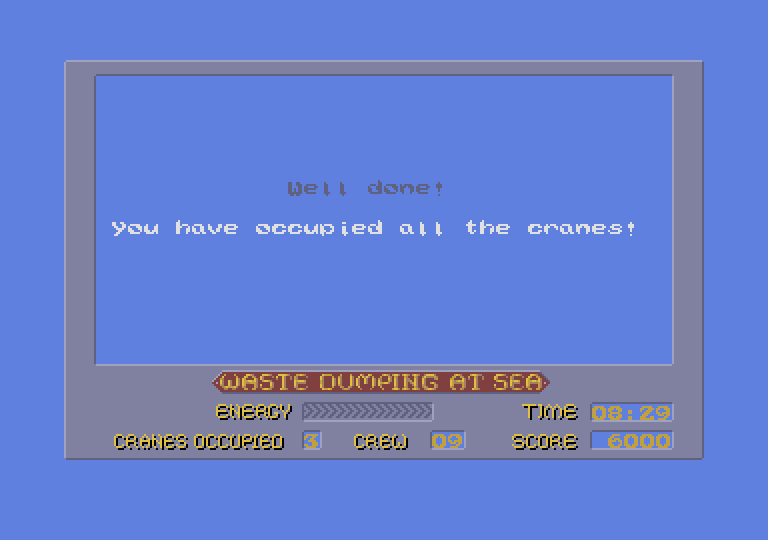 I just made one for this game in 5 minutes. 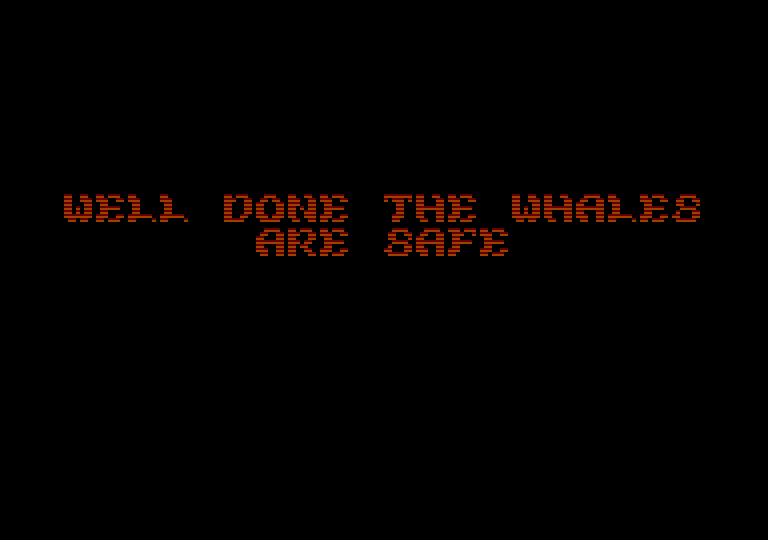 Never sure it's 100% but it passes the password protection. 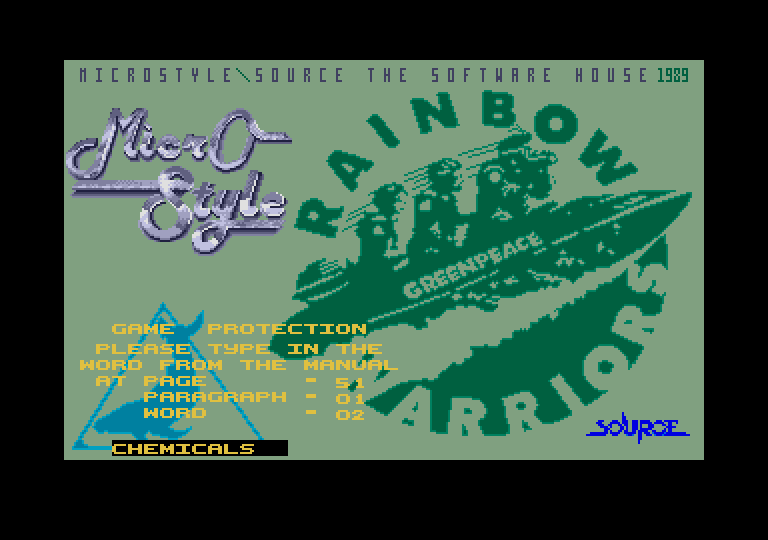 When games uses passwords as protection, are they provided with the dumps ? 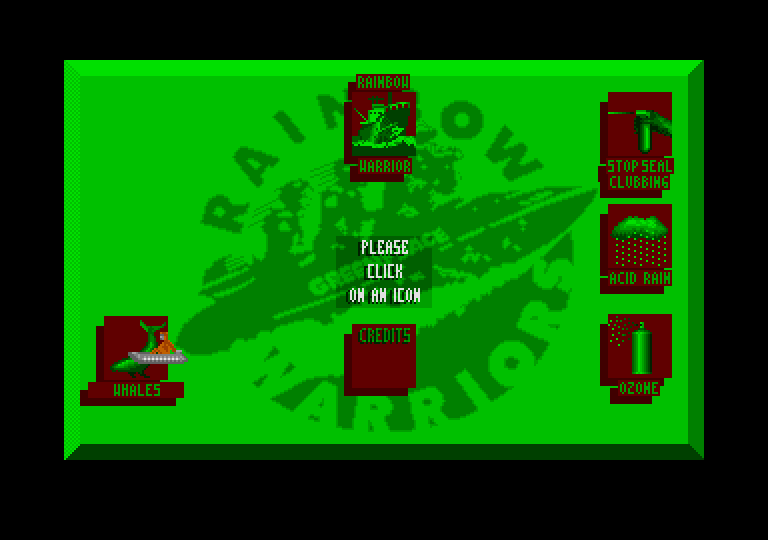 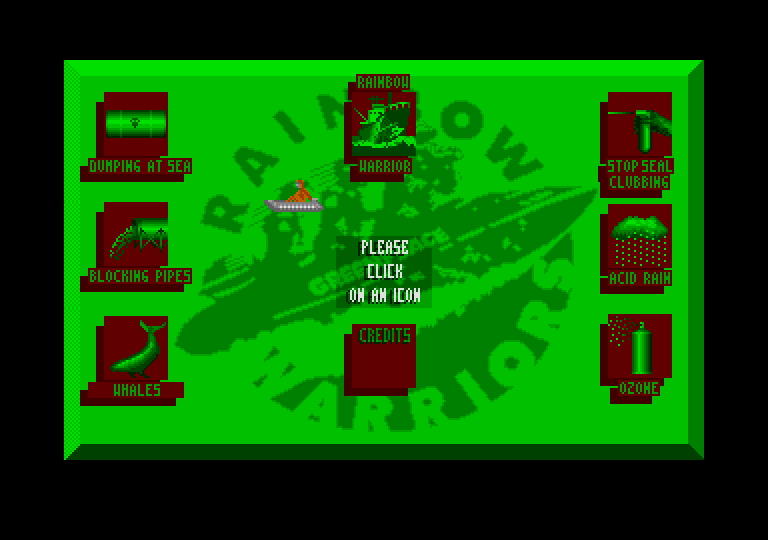 I do believe that I have a fully functional Pasti dump of Rainbow Warriors. 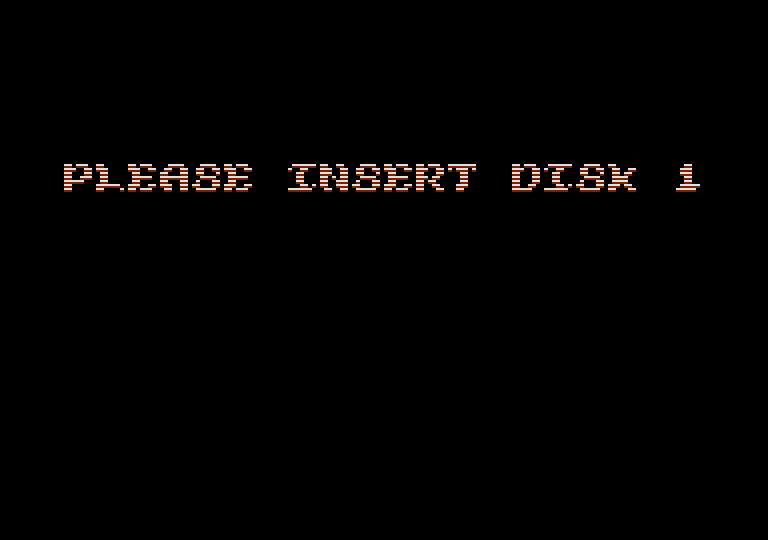 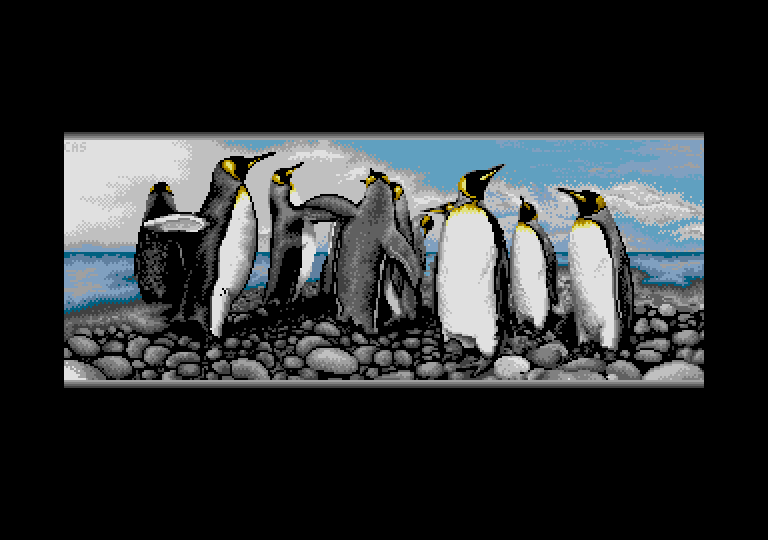 It was successfully dumped with SuperCard Pro and then converted to Pasti without any errors using Aufit. Thanks for the report :-) The download is removed for now. 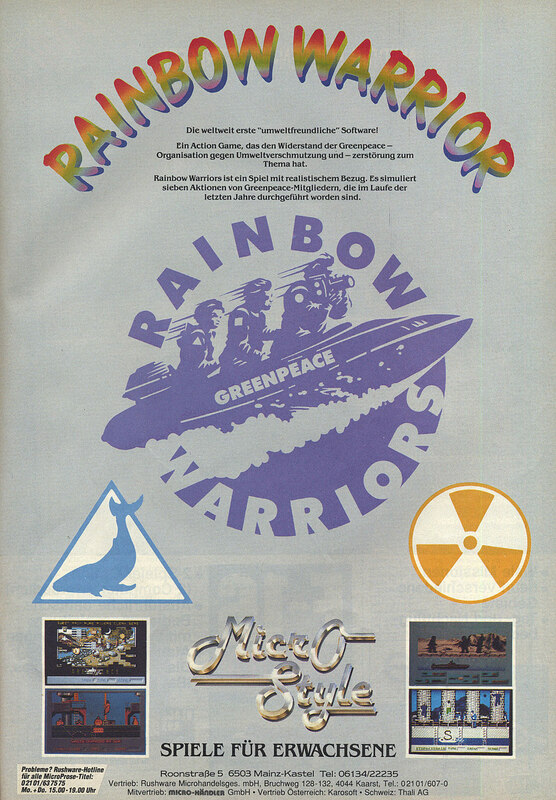 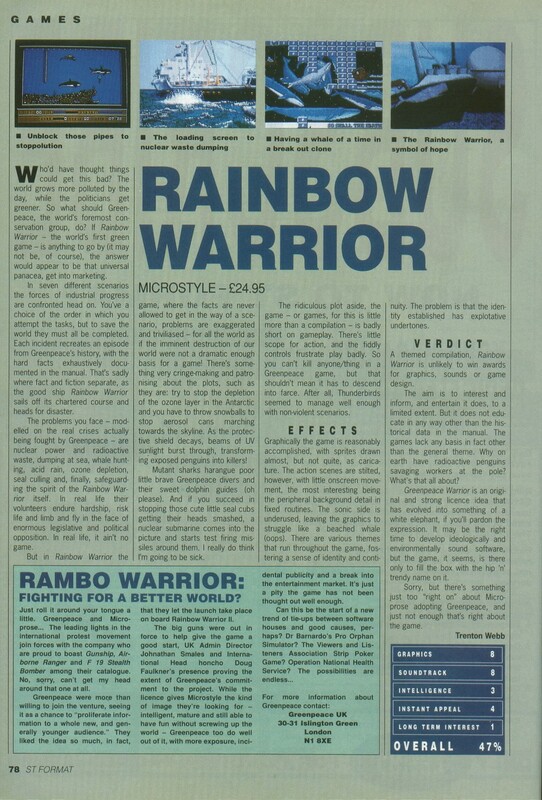 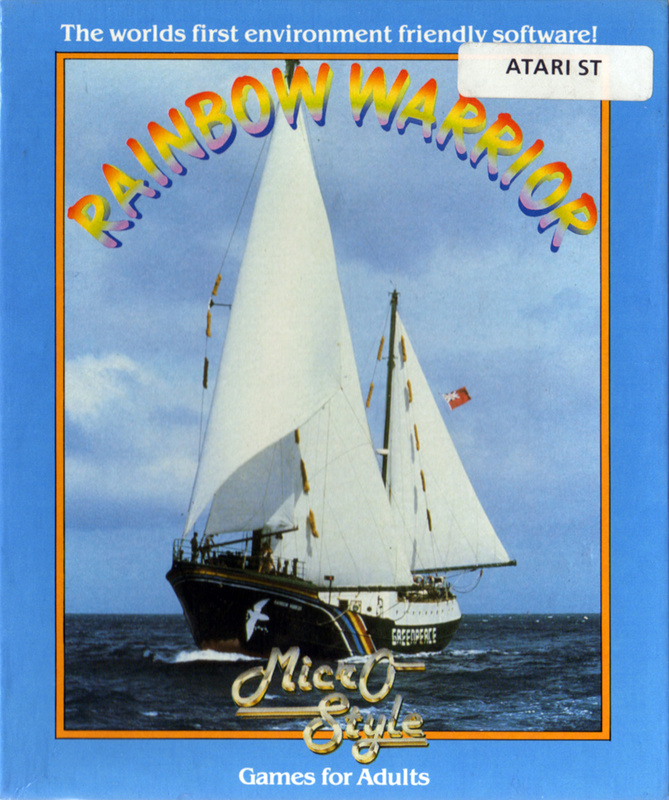 Rainbow Warrior was developed by request of Greenpeace. 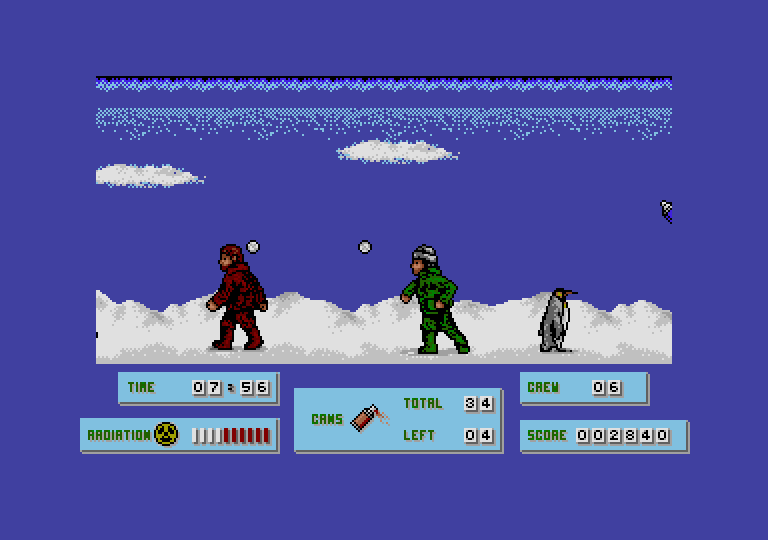 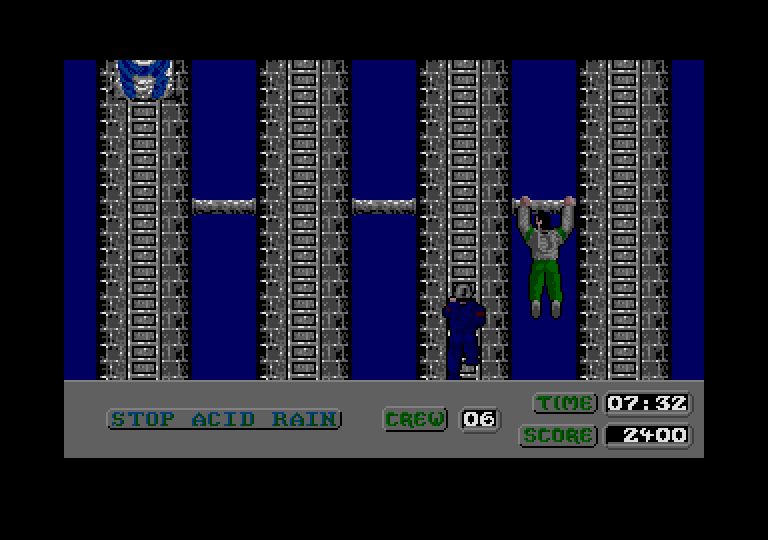 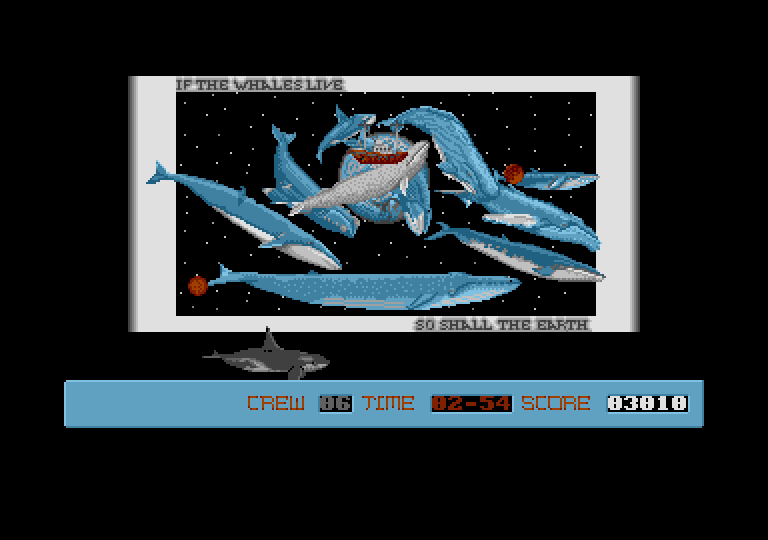 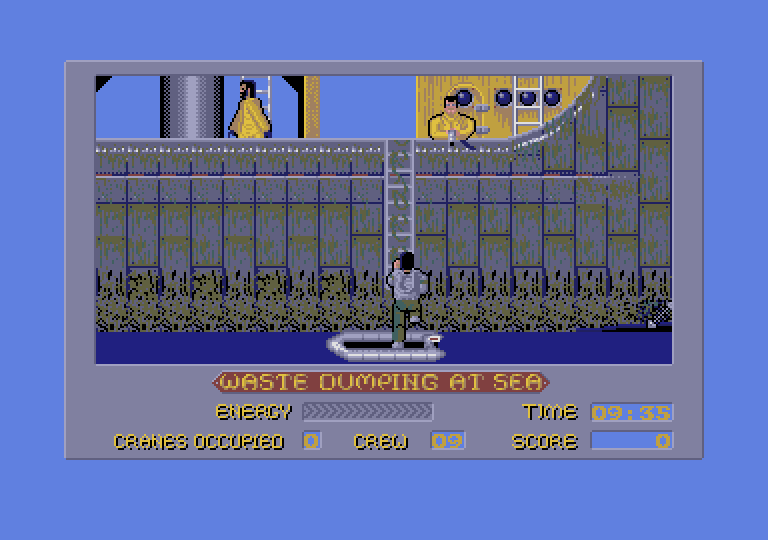 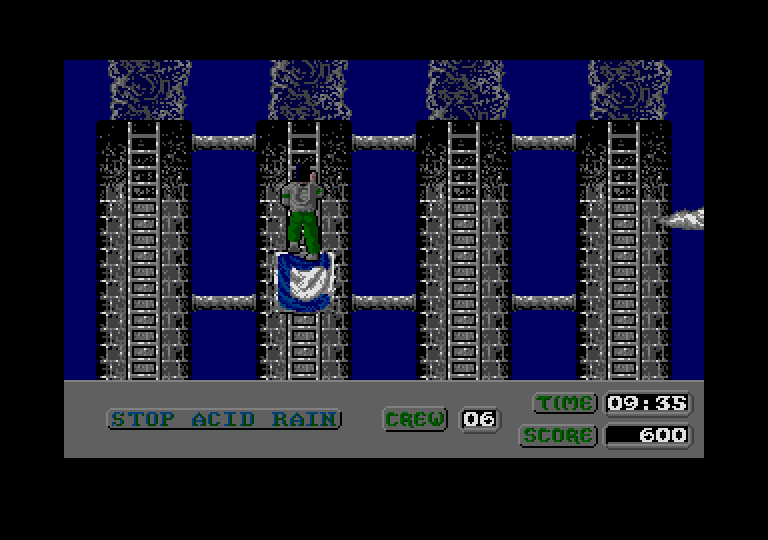 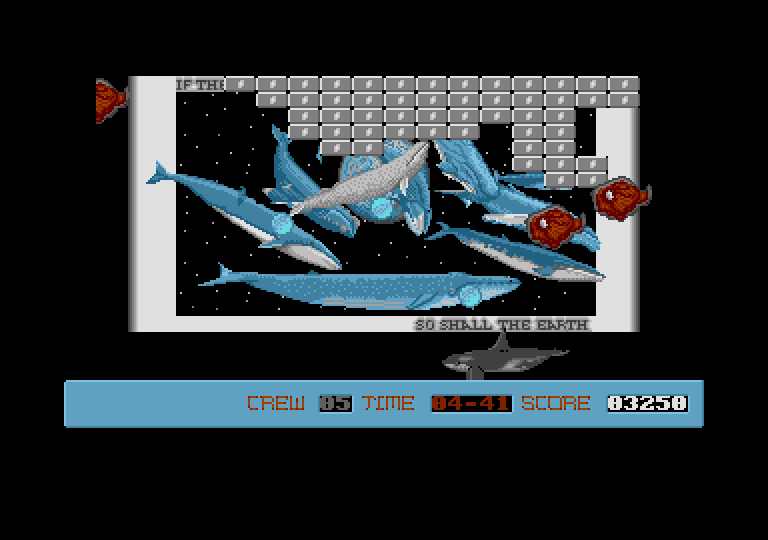 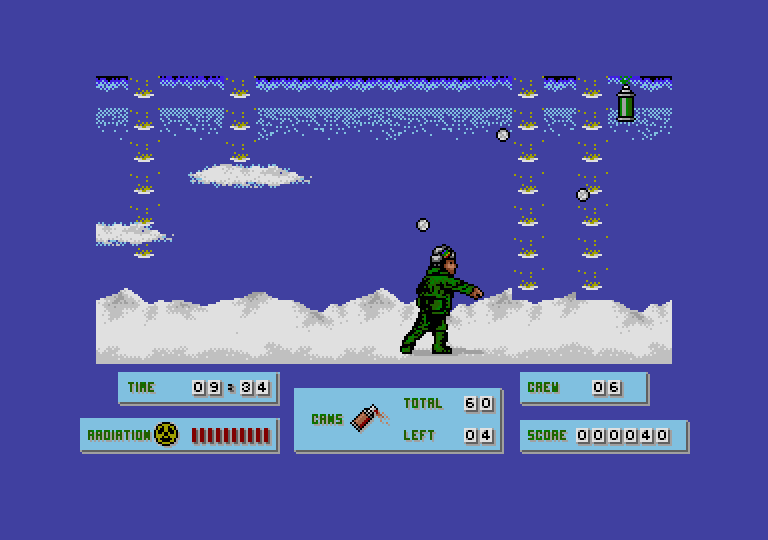 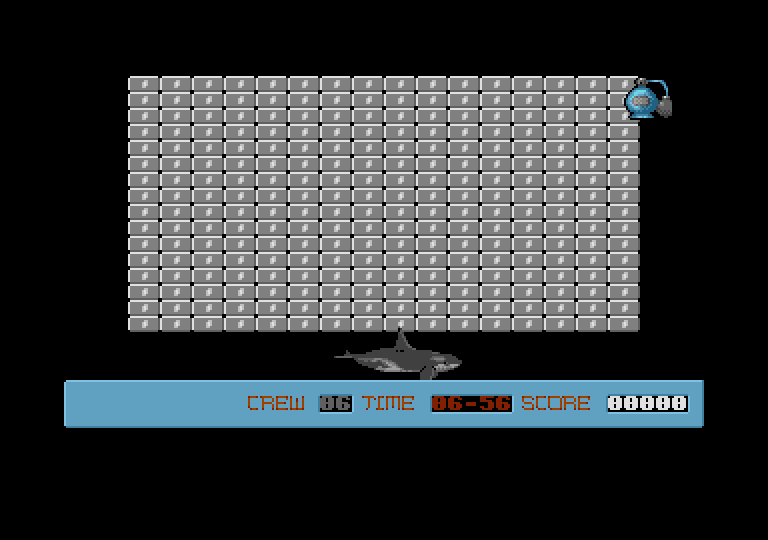 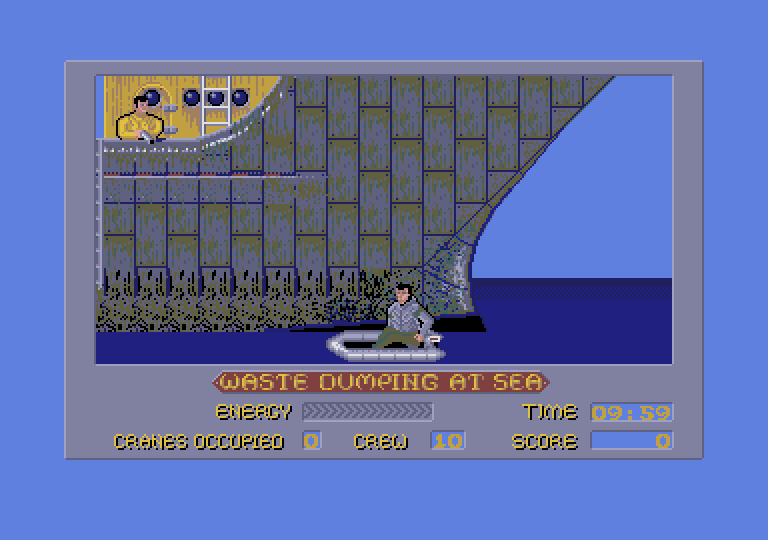 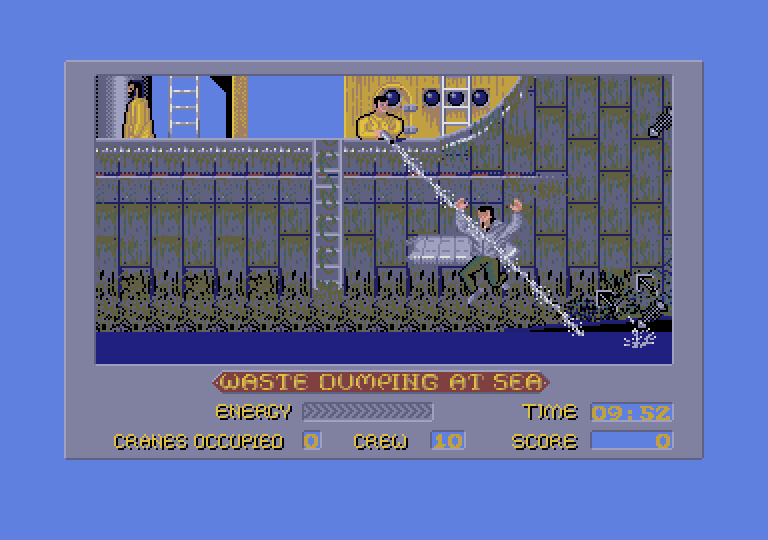 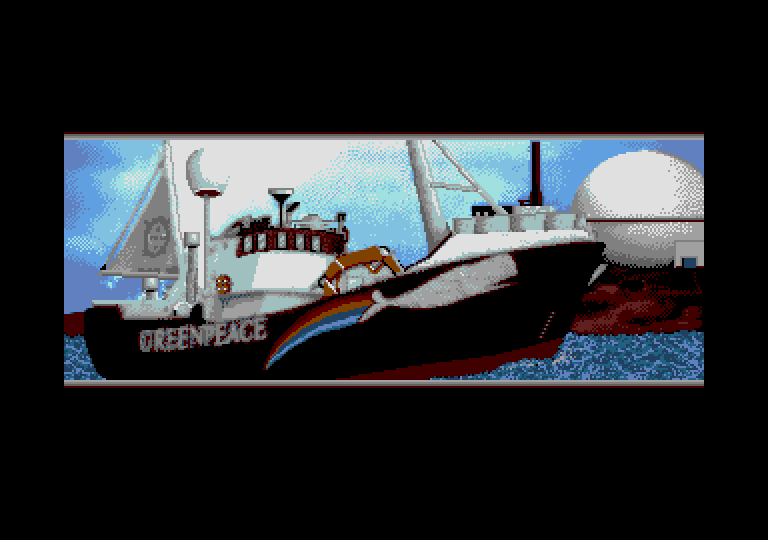 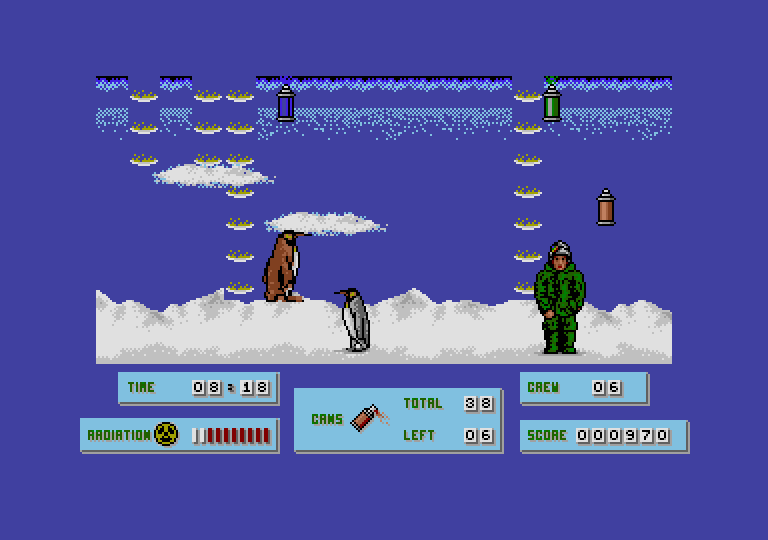 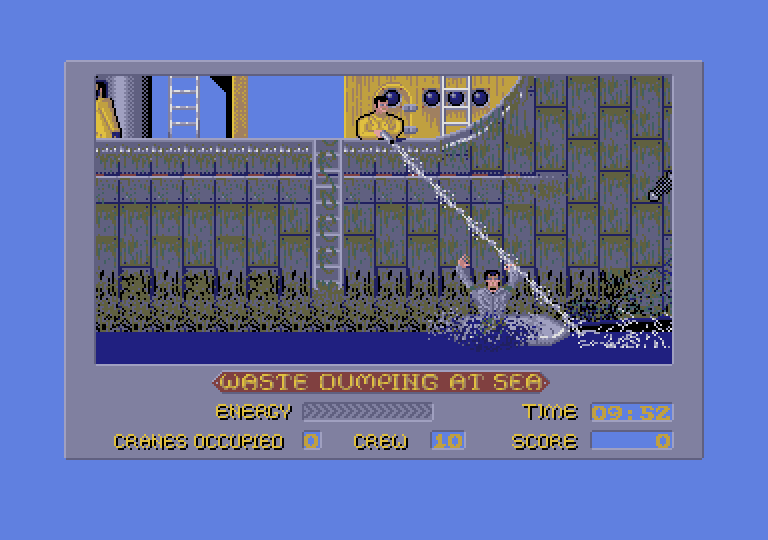 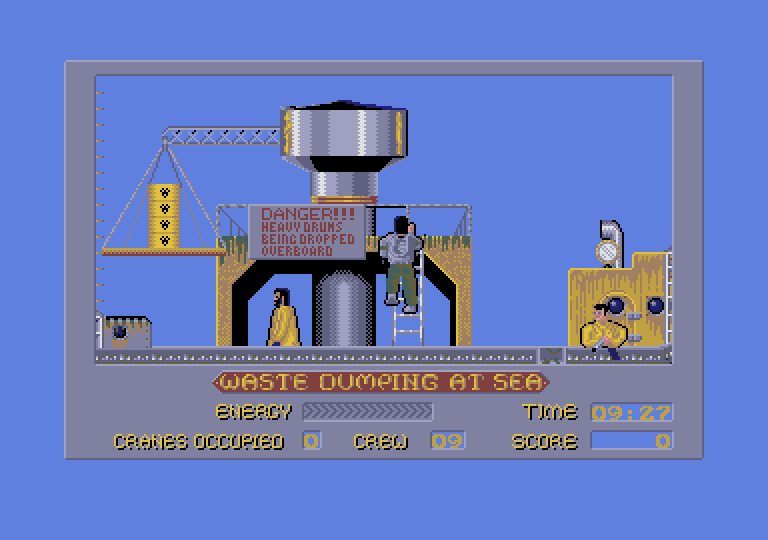 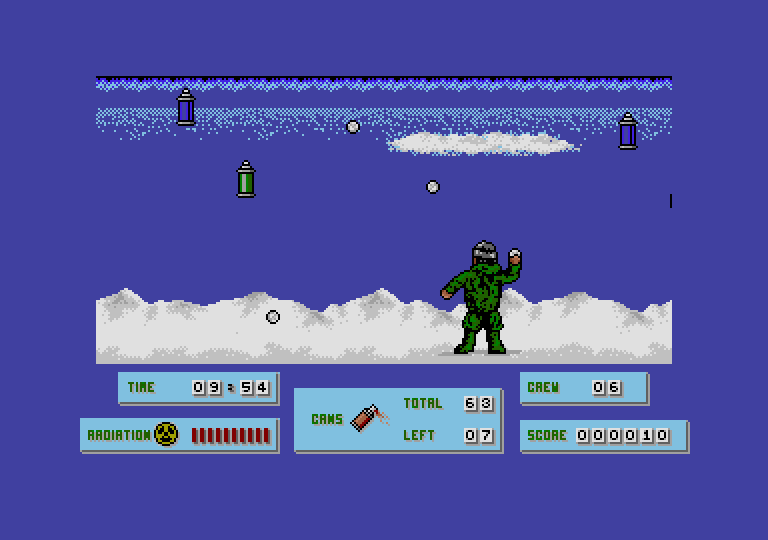 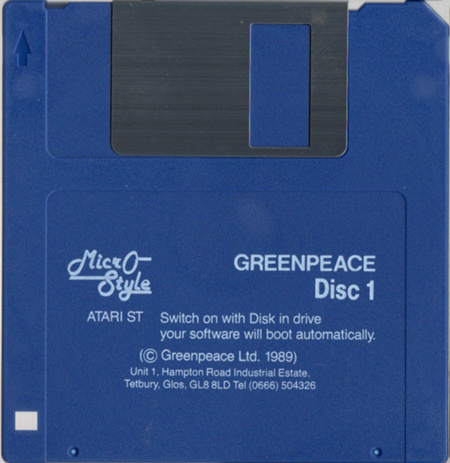 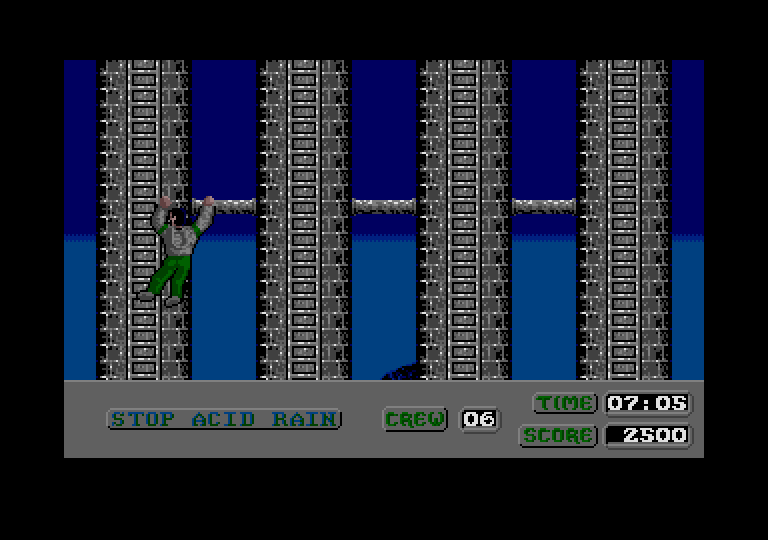 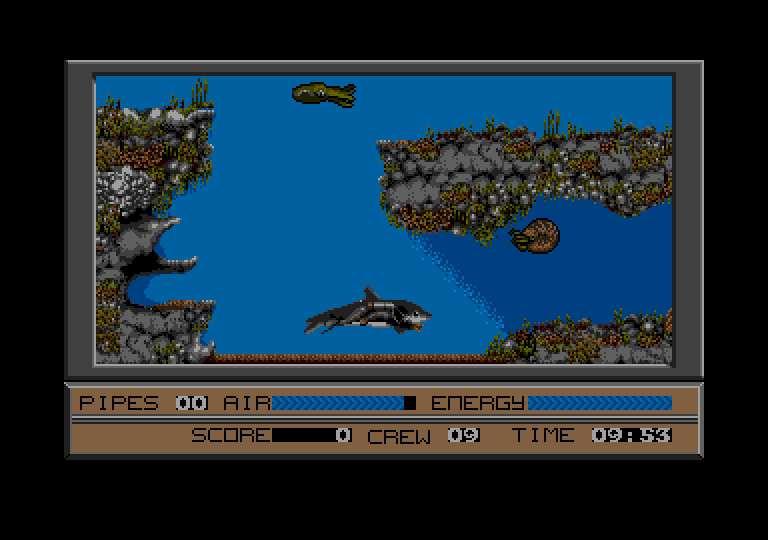 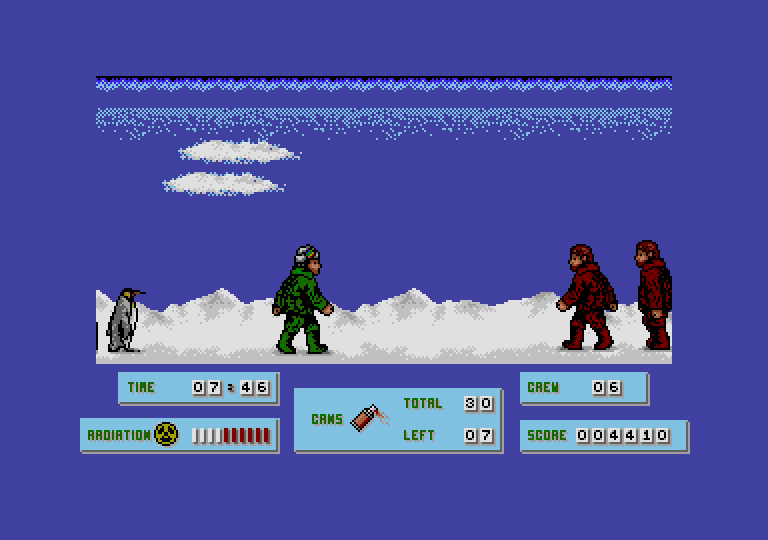 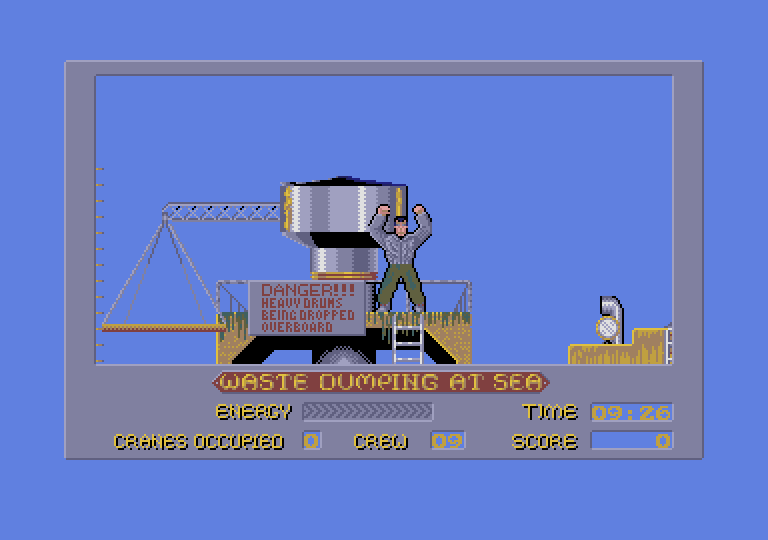 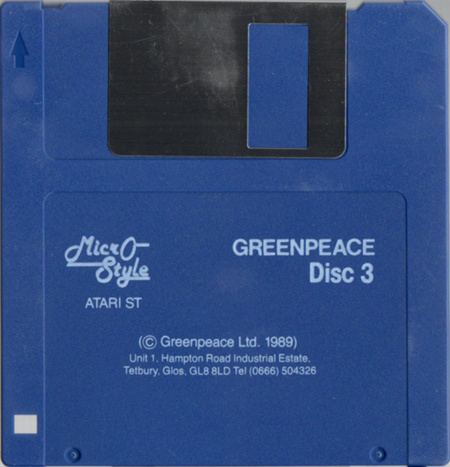 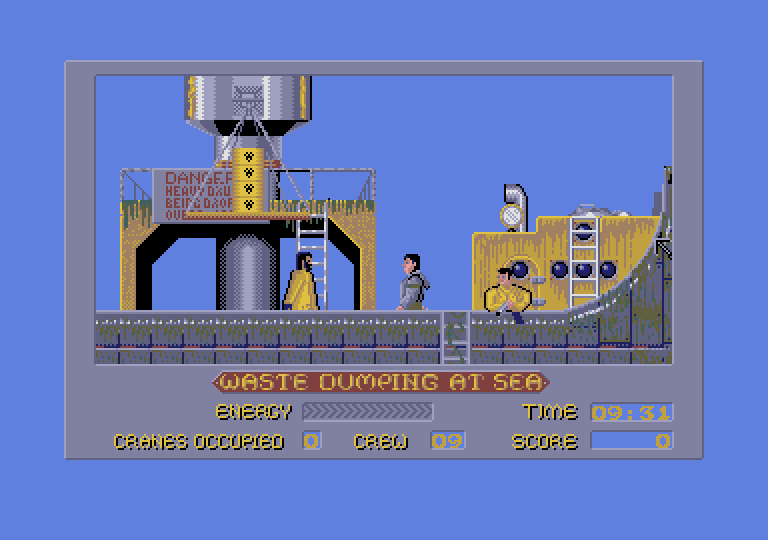 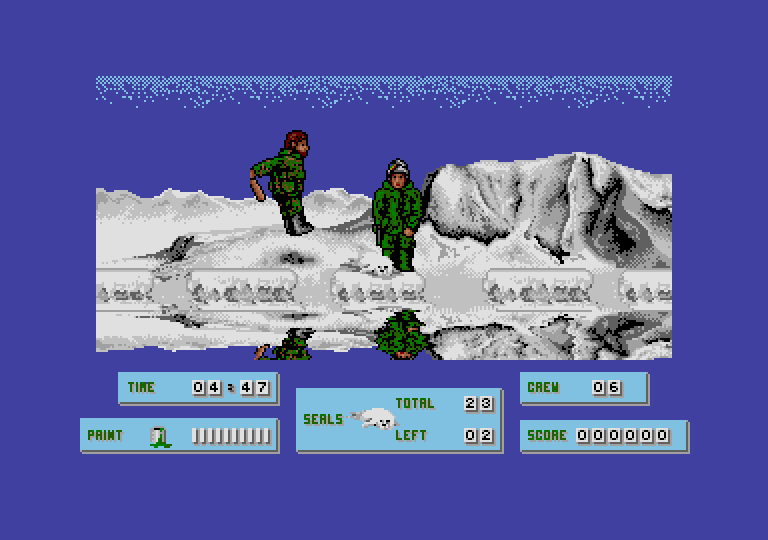 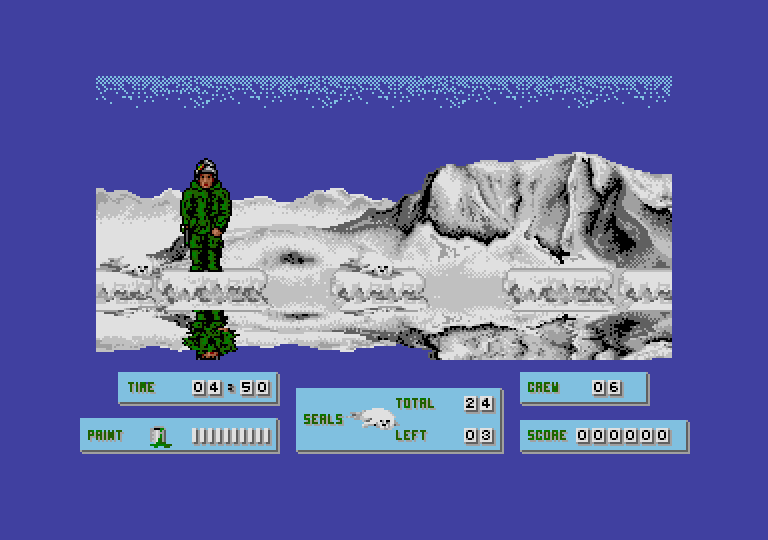 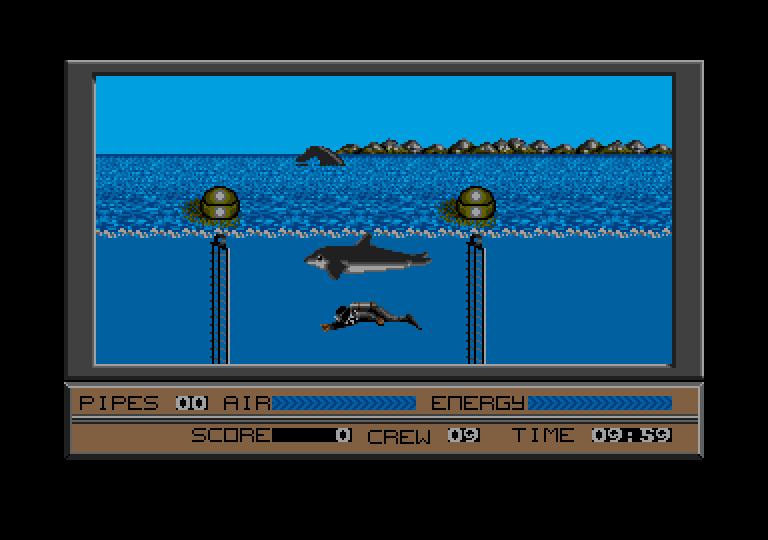 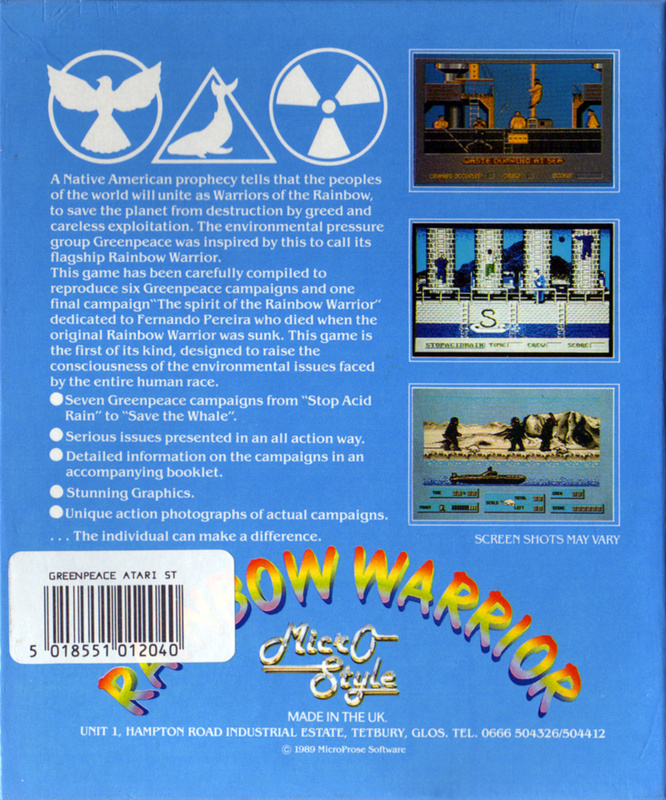 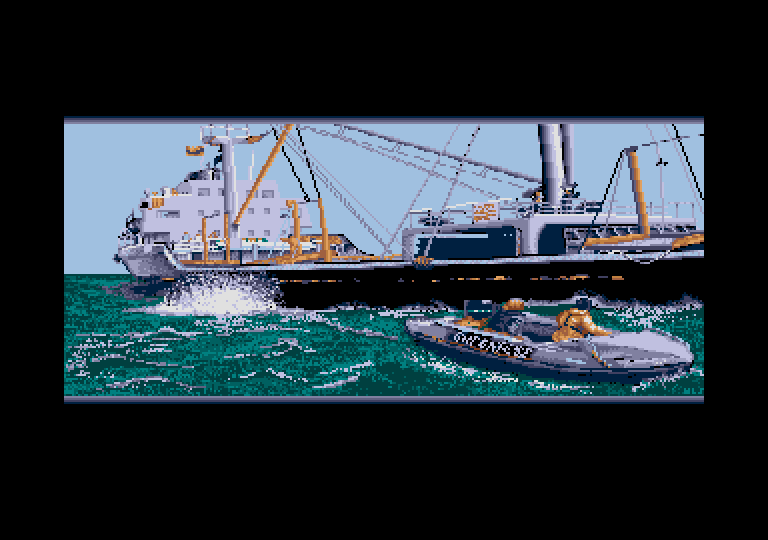 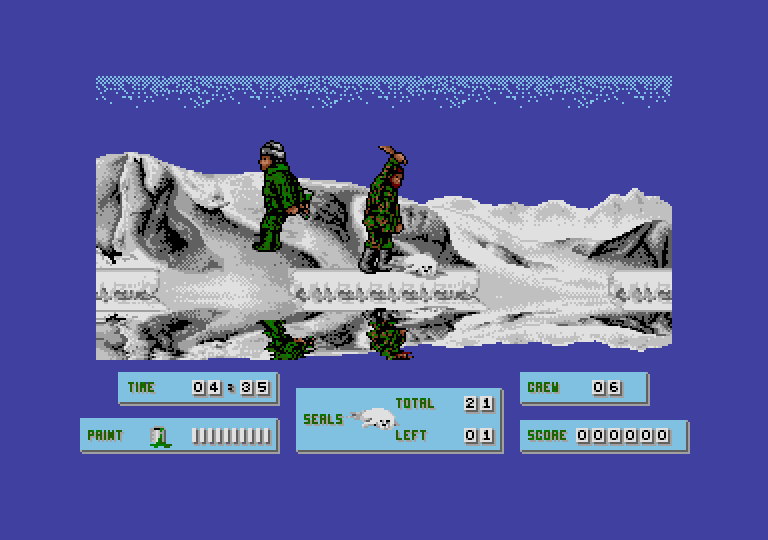 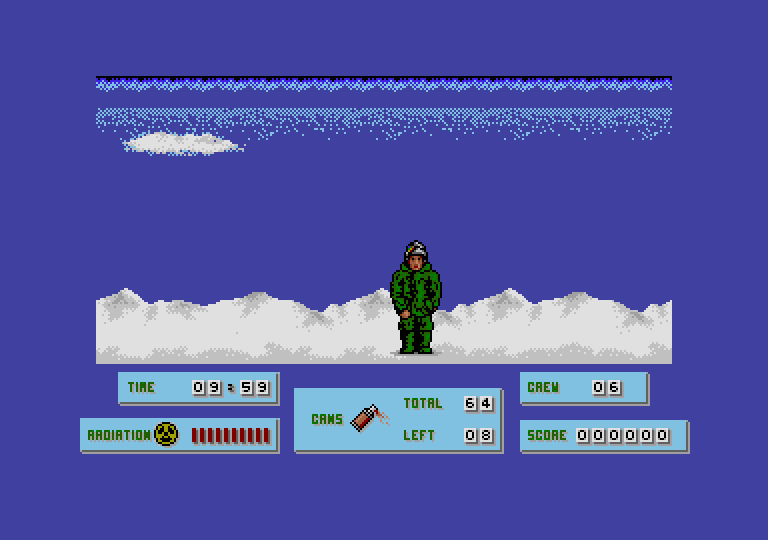 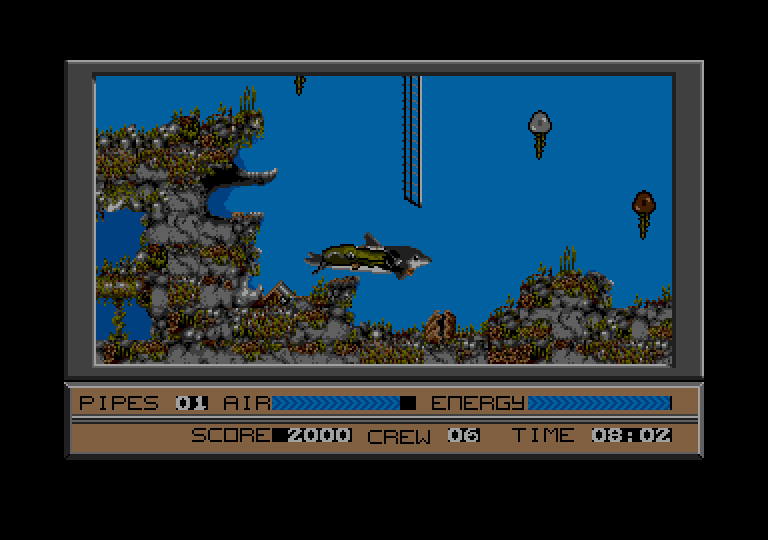 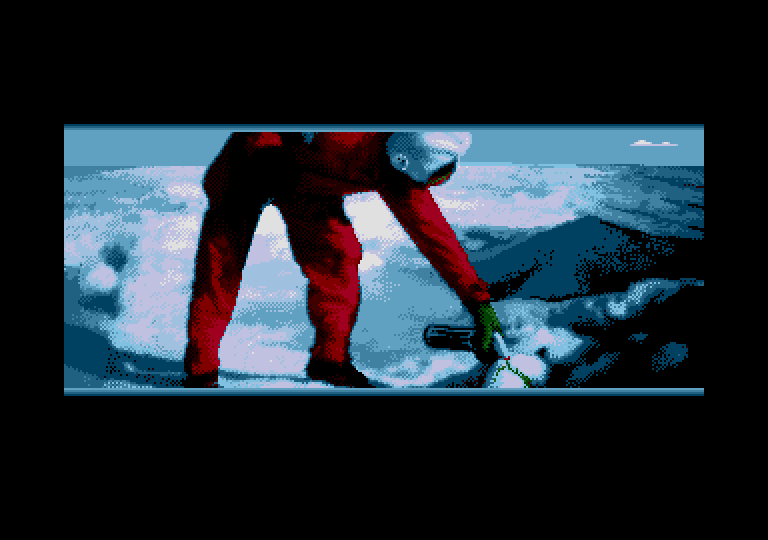 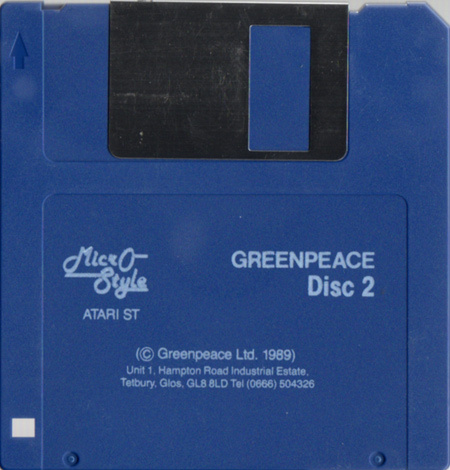 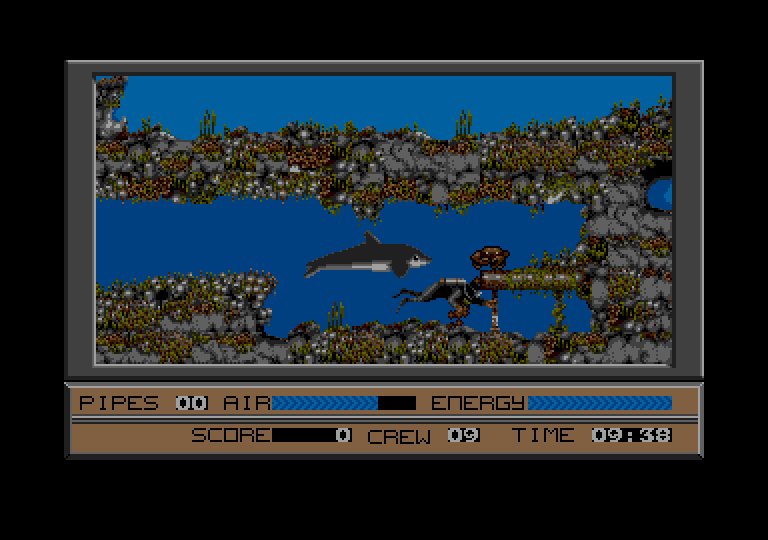 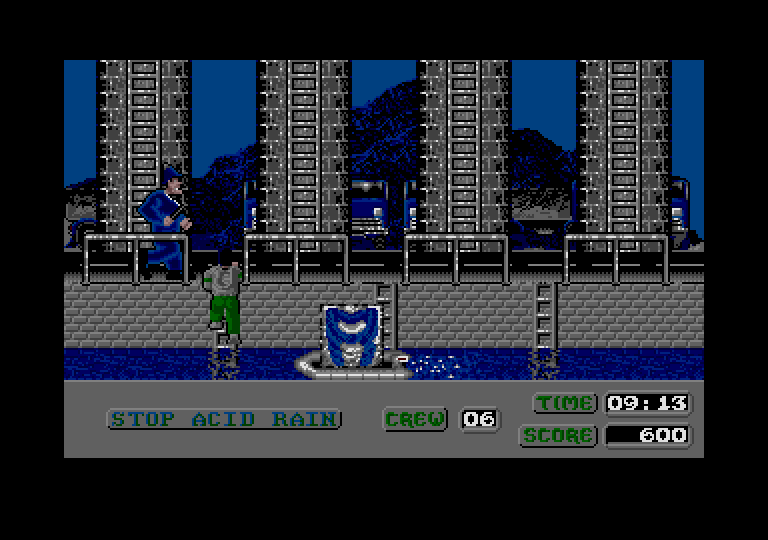 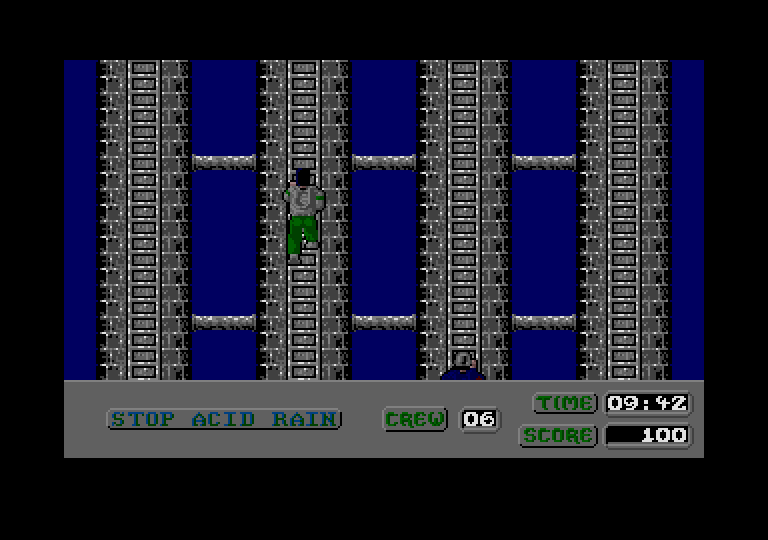 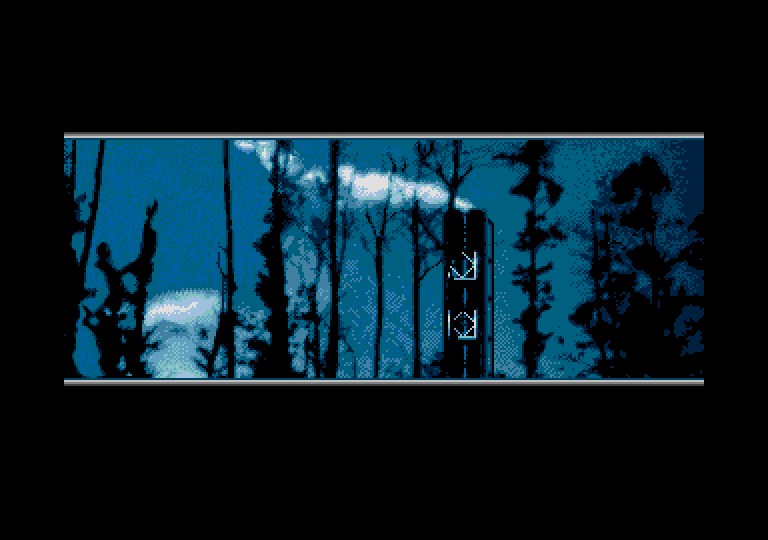 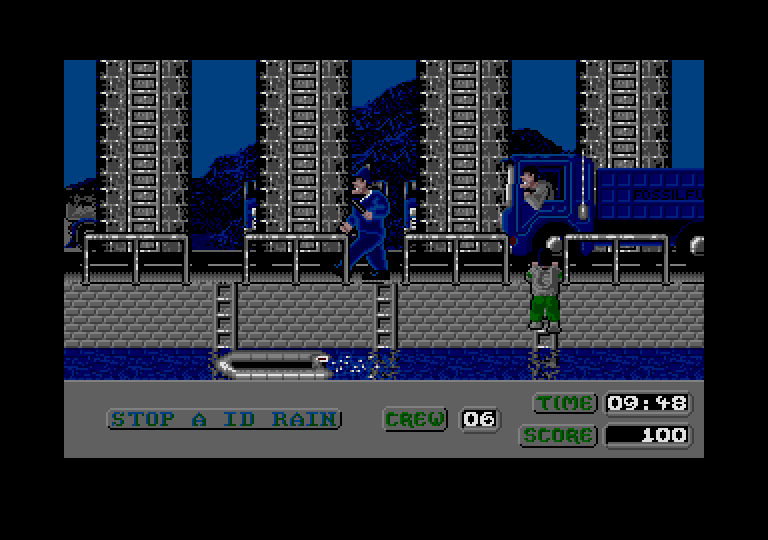 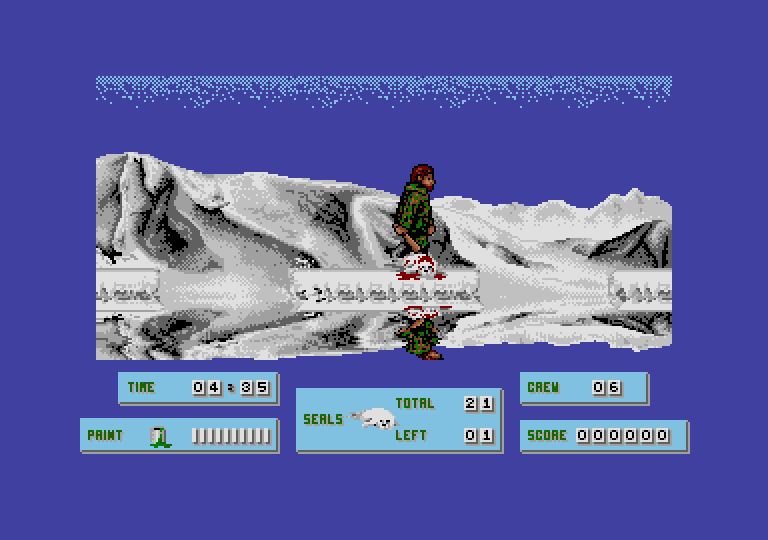 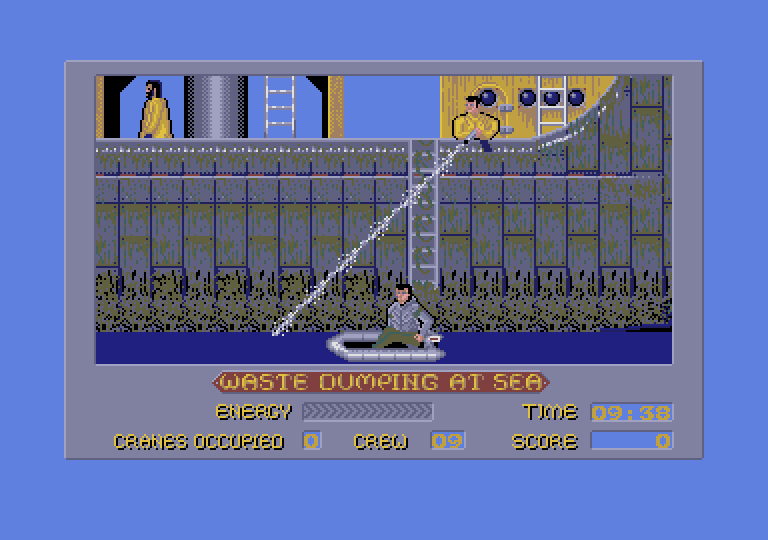 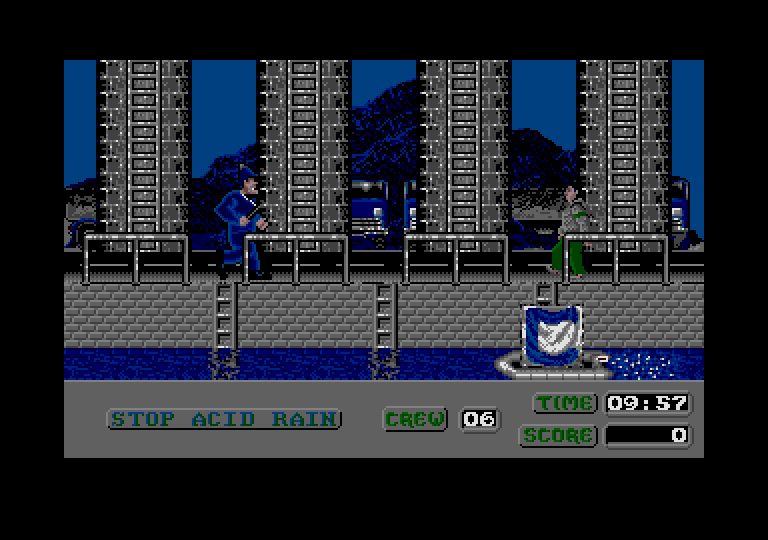 The game's name originates from the ship used by Greenpeace. 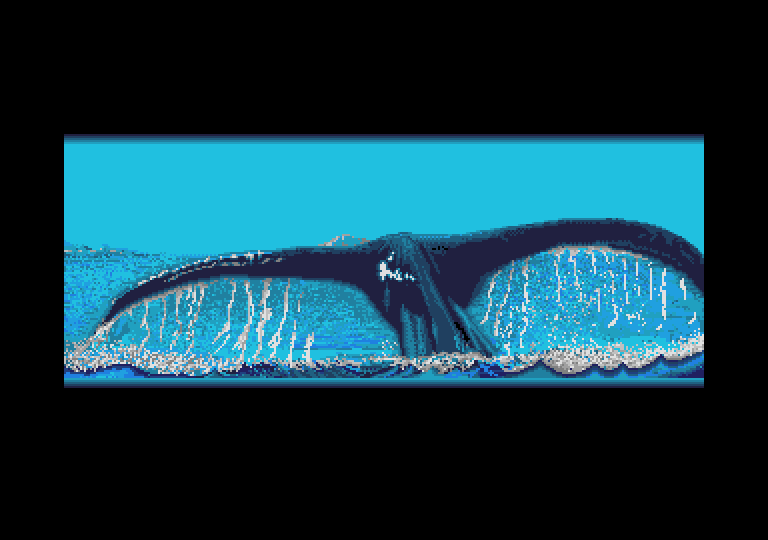 It was a three-masted schooner most notable for service with the environmental protection.